The UPMLA conducts a postal match for individual shooters. Once each month a set of targets is mailed to each participant. 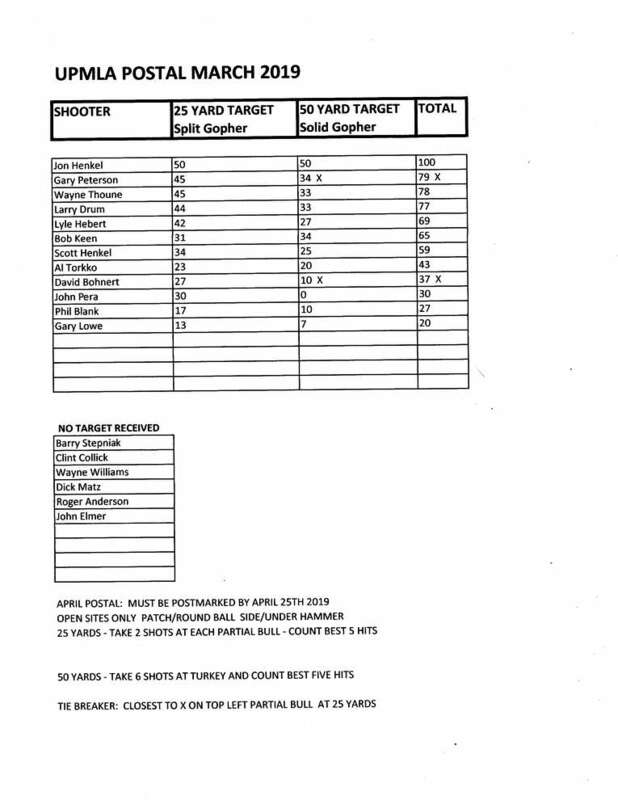 After shooting the targets, participants return them for scoring. 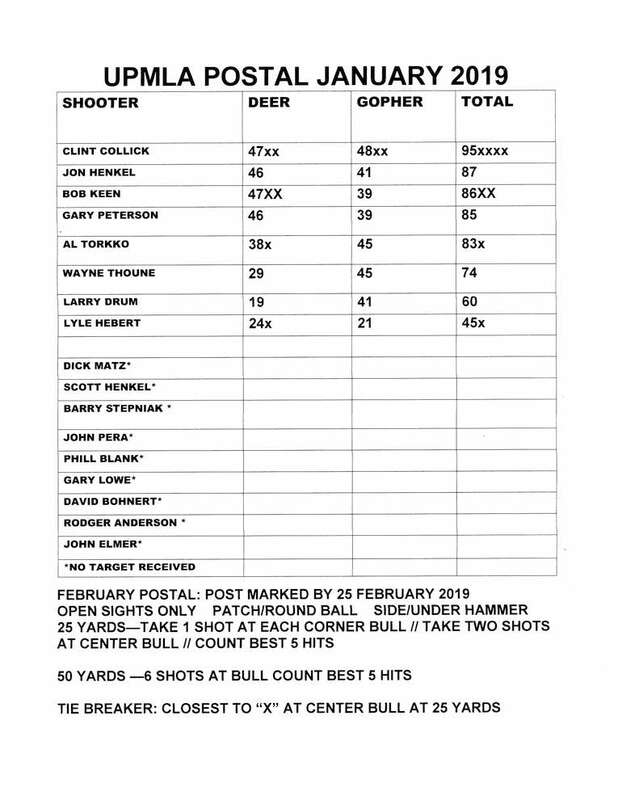 A new set of targets for the next month is then sent out together with a list of scores of all participants. 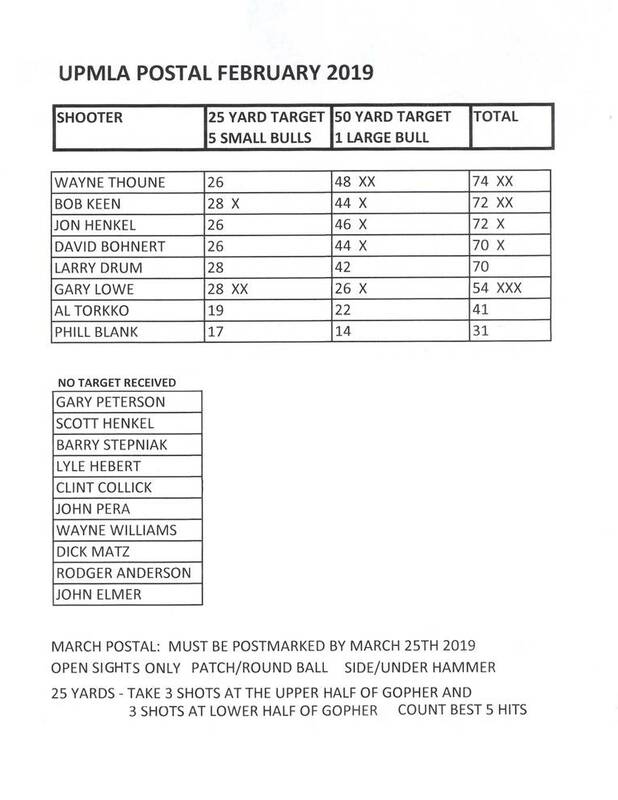 A full description of the event can be found on this page: UPMLA Postal Match for Individual Shooters. Because target difficulty will vary from month to month, it is not possible for scores to be aggregated and compared equitably across different months.